If your garden pond has been shaped by a craftsman, shouldn't your water pump receive the same level of design input? The outlines of the water feature are gracefully hugging the grass verge, diminutive rocky escarpments are arranged attractively around the pond, and an array of aquatic plants are tying the whole theme together. Seeing all of this, shouldn't your custom designed water pump match this impassioned creation's personalised features? 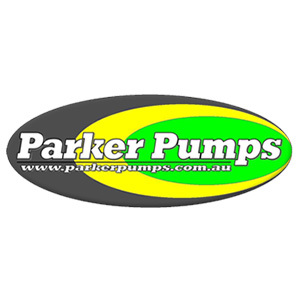 What is A Custom Designed Water Pump? Well, the water impeller in a uniquely profiled garden feature does more than maintain water cleanliness, although this is an important function. The tailor-made mechanical circulator also aerates the pond. Keep that primary feature in mind when the time comes to install the device. Calculate the size of the water feature, the volume of liquid occupying the pump basin, and know that the diffused water bubbles, the aerated envelope, must parallel that uniquely attractive pond design. What would your personalised garden feature look like if you could wave a magic wand? Perhaps it would be shaped by smooth river bed rocks? They'd be casually arranged as steps so that the water would tumble over their smooth outlines and splash gently into the body of water below. But what about an entirely different theme? A faux water wheel, for instance, rotates when the water pump expels its controlled stream. This is your self-contained ecosystem we're dealing with, and it deserves a prime mover that will transform your dreams into a fast-flowing reality. The nooks and crannies shaping your personalised backyard pond look elegant, but they're trapping little water eddies because a cookie-cutter device has been installed. A custom-made device accounts for every pool idiosyncrasy, be it a little water tributary or a landscaped bank of ferns. What if the goal is to build a serenity pond? The zen-like appeal here is found in inner reflection. As such, the chosen device must discharge its watery stream in a controlled manner. Low RPM water pumps are the right choice for this function. A list of features is scribbled on a piece of notepaper or typed into a computer. Half of those features, if you're lucky, are checked off as matching your commissioned requirements. This isn't a personalised solution, although it comes close. No, your cascading rocks and rotating mill wheels don't come to life when a conventional water pump is sourced. However, you will bring your dreams to life that personalised ecosystem you've contemplated, if you opt for a custom designed water pump.